The tragic civil war in Syria shows no signs of abating, with another ceasefire collapsing in the last week. US Secretary of State John Kerry accused his Russian counterpart of living in a ‘parallel universe’, as the bombing campaign of Russia and the Syrian regime targeted civilians, hospitals and a UN aid convoy, all during the supposed ceasefire. 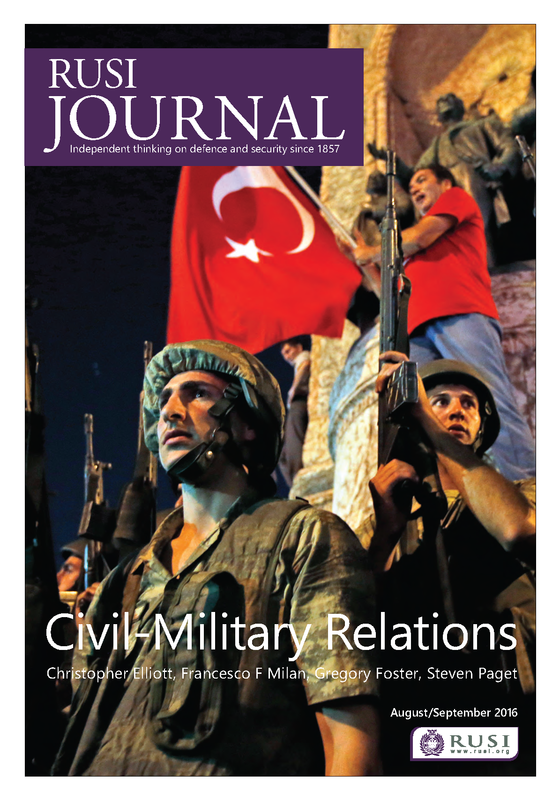 At RUSI, we have been commenting on recent events. I discussed the attacks on BBC Radio 4’s Today programme, and on Channel 4 News. Justin Bronk analysed footage from the bombsite and found that Russian-made munitions were used, likely dropped from Russian Su-24s. Aniseh Bassiri Tabrizi examined the fraught relations between Iran and Turkey and warned how this will also impede peace talks. In neighbouring Iraq, government forces are getting ready for the long battle to recapture Mosul from ISIL. The Iraqi Foreign Minister spoke at RUSI discussinghis government’s preparations to drive the terrorists out of the city. Even when ISIL is defeated in Mosul in Iraq and in Raqqa in Syria, the group will still pose a threat not just in the Middle East region, but further afield. ISIL is directing and inspiring attacks around the world – notably in Europe and North America – and ISIL’s global affiliates also pose a threat to a number of countries. In an essay for Save the Children, I discuss how the UK could take the lead and work closely with the United States and other countries to stop the spread of the terrorist ideology and prevent further attacks. I am honoured this month to have been appointed to a new UK government task force on tackling slavery. Chaired by the Prime Minister, the task force aims to pioneer ‘a more co-ordinated policy and operational response’ to modern slavery. 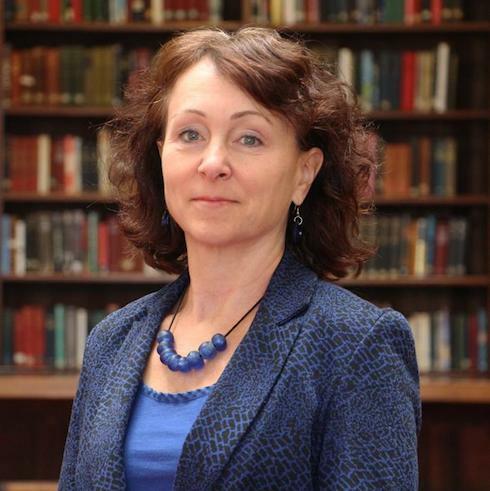 I intend to bring RUSI’s wide-ranging expertise to the conversation as the task force explores what more can be done to bring perpetrators to justice and to support victims of slavery. We are also working hard to assess the implications of Brexit: in September’s RUSI Newsbrief, serious questions are asked about the state of European Union foreign policy-making. The Newsbrief also carries a special feature on tackling terrorist financing and financial crime. I am delighted to announce that Sir Peter Ricketts, a veteran British diplomat, will be joining us as a Senior Associate Fellow. Sir Peter has been at the Foreign and Commonwealth Office for over 40 years and he served as British Ambassador to France before he retired. I also welcome to RUSI General Sir Richard Barrons as a Senior Associate Fellow. General Barrons served as Commander Joint Forces Command, one of the six ‘Chiefs of Staff’ leading the UK armed forces until April 2016. 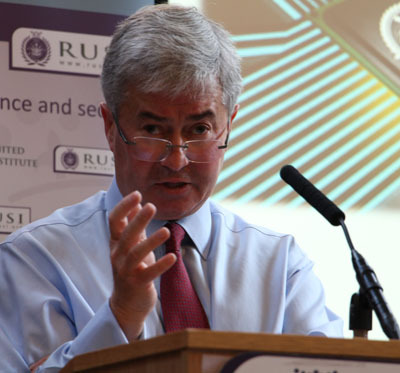 Last week,Sir Richard spoke at RUSI’s Warfare in the Information Age conference. Next month, RUSI will host the second International Cyber Symposium in partnership with the UK Ministry of Defence. This year, the Symposium’s theme will be Cyberspace and the Transformation of 21st Century Warfare. I invite you to read RUSI’s 2015-16 Annual Report, where you can find out about the Institute’s activities in the past year and how the Institute produces independent, practical and innovative analysis to address the complex challenges of the modern world. We welcome your feedback on our work, so please get in touch with thoughts, ideas, criticism and questions. Finally, the trustees of the Institute are inviting RUSI members to nominate the next recipient of the Chesney Gold Medal. The medal is awarded in recognition of a lifetime contribution to international defence and security, to the benefit of the United Kingdom and/or the Western Alliance. Serving politicians are ineligible for the award. Nominations close on 28 October. Further details here. RUSI Defence Systems: Clearing Up in Space: The Next Global Flashpoint? During September a ceasefire was declared in Syria. RUSI analysis examined the agreement, the state of the conflict and the aftermath of the ongoing Russian bombing campaign. 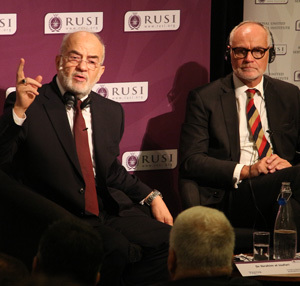 RUSI hosted Iraqi Foreign Minister Ibrahim al Jaafari, who briefed the Institute on the taking of Mosul, the security situation in the country and Iraq's relationship with its neighbours. General Sir Richard Barrons spoke at RUSI on the nature of the Information Age and its implications for conflict and the conduct of warfare. Did a Top Secret Threat Assessment Prompt Sweden to Deploy Troops to the Baltic Island of Gotland? North Korean Nuclear Tests, the Syrian crisis and the political situation in Kashmir.